Look down when you walk through a certain street in Edmonds. Not typical advice, we know. But if you haven’t experienced the downtown arts district of Edmonds, Washington, at night, then you may not know where to look for one of its hidden gems. An artist installed 177 LED solar-paneled lights in a roadway, or corridor, that spans three blocks. 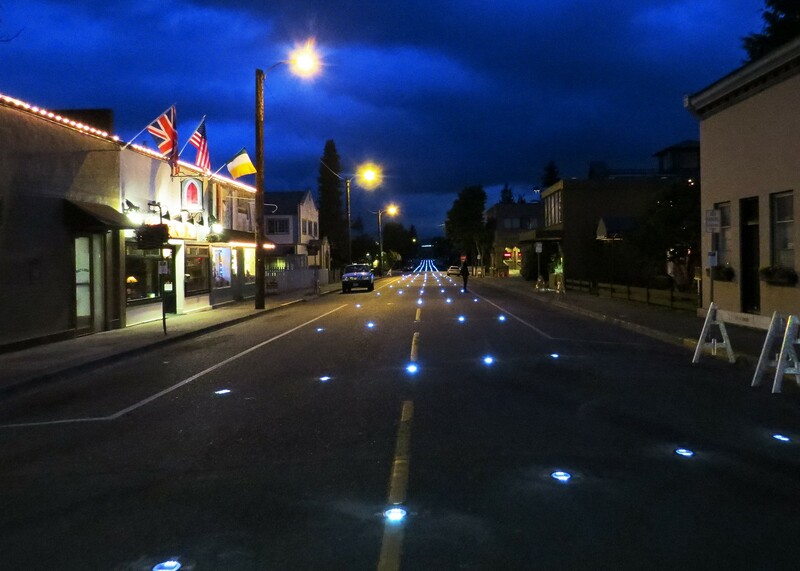 At night, bright dots liven the decades-old asphalt that links retail shops on Main Street to the Edmonds Center for the Arts. The artist, Iole Alessandrini, called it Luminous Forest because she wanted to reference the community’s history with cedar forests. Frances Chapin, the city’s arts and culture manager, said there were originally more extravagant plans for the roadway area. But the recession hit and it was tough to find the money. Even though the original idea had to be scrapped, some community members said a temporary art piece could make it interesting in the meantime. So, they rallied. 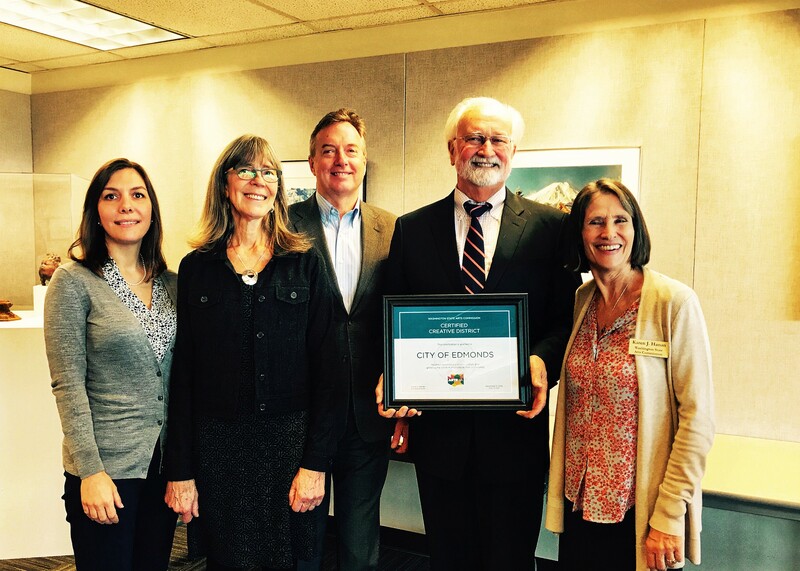 Edmonds is the first city to receive a distinct designation from the Washington State Arts Commission: the state’s first creative districts certification. Gov. 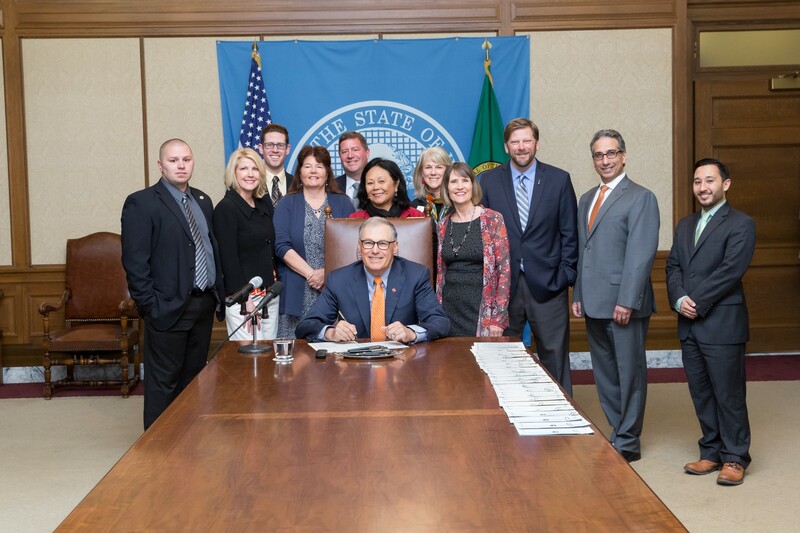 Jay Inslee announced the certification in November. Annette Roth, creative districts program manager at ArtsWA, the state’s art agency, said the program resulted from 2017 legislation. The program leverages arts and culture to generate economic activity in a local communities. These creative hubs are not only attractive to residents and visitors, they help to make the community more attractive to innovative businesses and their employees. A creative district is a designated geographical area where a community nurtures its artistic, cultural, social and economic growth. The Edmonds area spans about 40 square blocks (all walkable within less than a mile). However, the size of each creative district is individual to the community. 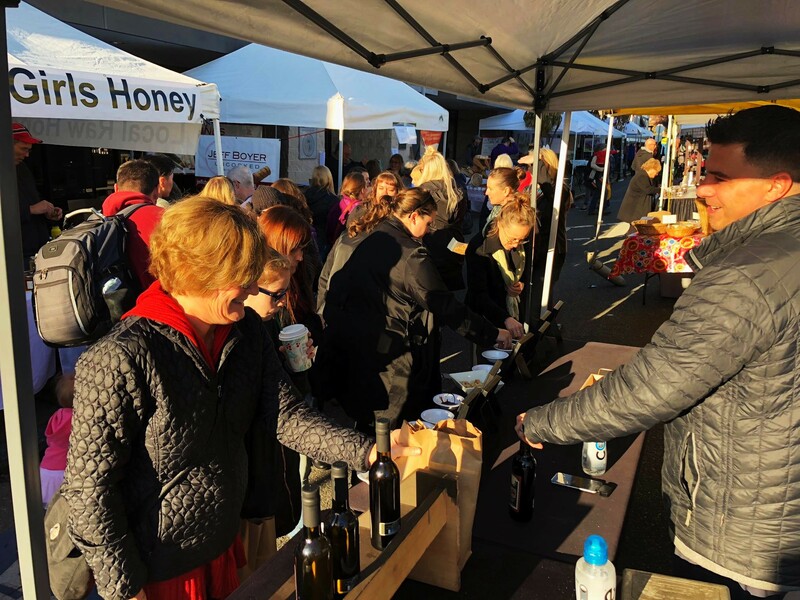 Edmonds boasts a waterfront, museums, boutique shops, creative businesses, a community theater and the Edmonds Center for the Arts. One of the biggest visitor draws is that the area is indeed walkable. Art, Roth said, connects to our human experience and taps into an innate need we have to create art or take it in. “It ties into that unique need we have for something that’s a little bit bigger than us,” Roth said. The median economic impact of Edmonds’ arts and culture area is around $50 million per year, said Patrick Doherty, the city’s development and community services director. The arts and culture sector creates and supports approximately 440 jobs. Since Edmonds is the first certified creative district, city officials don’t yet have data on how the certification will affect job growth. But Doherty said he suspects the designation will attract owners and managers of creative-sector businesses. “Just today, I responded to an email from a woman seeking arts-related space in Edmonds specifically for the reason that she was enthusiastic about the creative district designation and wanted to be part of Washington state’s first creative district,” Doherty said. The city has already initiated an advertising campaign on the new certification. Washington’s creative industry earned $23.7 billion in 2017 and has gained each year since ArtsWA started tracking it. ArtsWA modeled the certification program after a similar one in Colorado. More than 25 communities around our state are at some step of the certification process. Aberdeen. Pullman. Kennewick. Spokane. Tenino. Roth guides each community through the application process, facilitates meetings, provides technical assistance and helps it refine the geographical location of its creative district. Another part of her job is traveling to each community to explore the area’s art and culture. Once a community earns the certification, ArtsWA grants it $5,000 to enrich the creative district. Chapin said Edmonds hasn’t decided how the $5,000 will be used but there are plenty of areas that could benefit. That’s the beauty of the grant — each community chooses where the money goes: Market the creative district area through a branding campaign. Hire someone to write community grants to keep revenue coming in. Design waterfront projects. Roth said there aren’t specific requirements for how to spend the money as long as the community can demonstrate that it’s used to support the creative district’s activities. 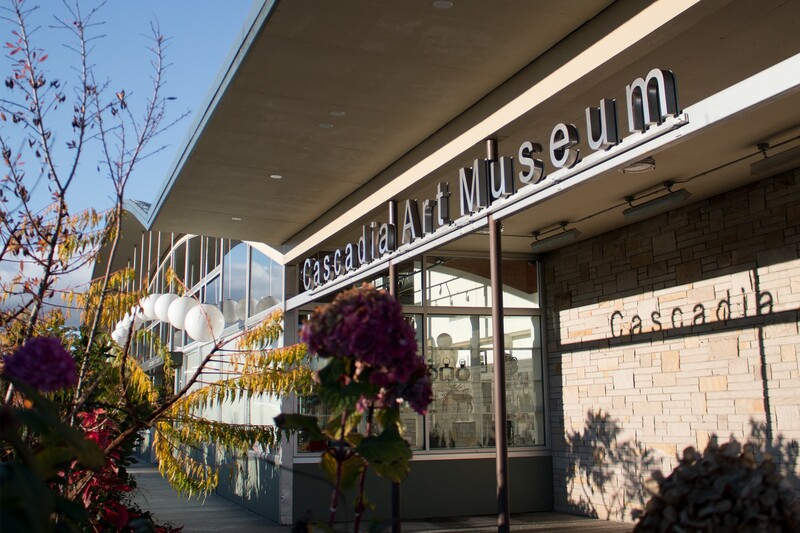 Many of the 100-plus arts and culture businesses, organizations, venues and attractions identified in the city’s 2017 economic impact study will benefit from investments in the Edmonds creative district area. And Chapin said it’s that concentrated, creative kind of energy that attracts people and new businesses to the downtown area and makes things happen. Inslee said the new program opportunity will encourage cities to further enrich their communities.